Facebook has given in to its advertisers. The social networking giant reversed a decision to alter its data metrics by getting rid of device-specific analytics, the Wall Street Journal reports. The Menlo Park, California, company had told advertisers the site would no longer provide data on how ad campaigns faired on specific devices. But ad buyers were interested in those statistics to understand effectiveness and other campaign management metrics, the Journal reported. App developers could see whether a mobile user had installed the app on his or her device after seeing an ad and what device it was. That data could then be applied to future products and campaigns. Facebook (NASDAQ:FB) had originally planned to push out the update in August but changed the rollout date to November. Now, the change is on hold, according to an email obtained by the Journal. Their prior justification: Facebook seems to be pushing its people-based targeting tools, fueled by the information users provide on their profiles. “We advise our advertisers to apply people-based measurement solutions so they can determine when they’re reaching multiple people, not just multiple devices," a Facebook representative told MarketingLand. Facebook has been releasing more advertising options for companies across its slew of mobile apps and products. Instagram, the Facebook-owned photo-sharing app, slowly has been becoming an ad network. 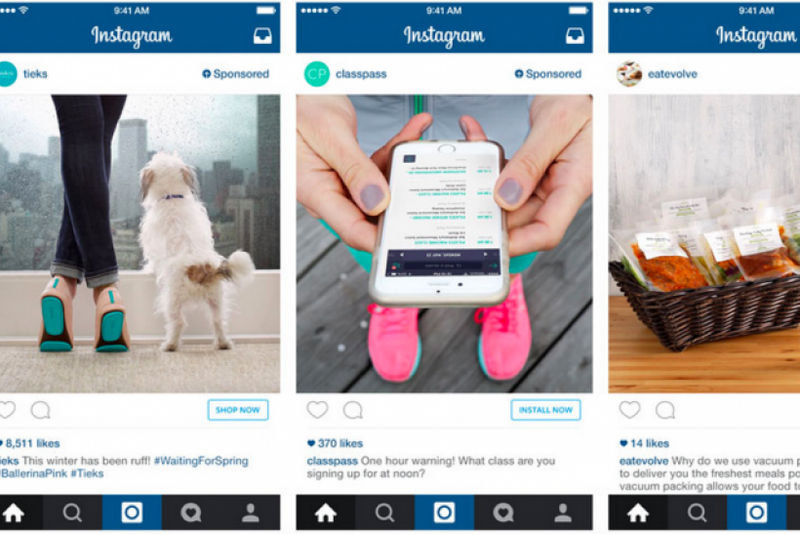 Facebook released Instagram's new ad options Tuesday. Brands can choose between "shop now," "install now," "sign up" or "learn more." Companies can also tap into Facebook's data for targeting Instagram ads. Instagram's first ads with the new tools came from marketing specialist Salesforce.com, Brand Networks and Hootsuite, but more big and small businesses are expected to create and release ads. Instagram could generate as much as $2.8 billion in revenue by 2017, comprising 10 percent of Facebook's total revenue, according to forecasts from research firm eMarketer. Mobile ads have been one of the main drivers of Facebook's successful revenue growth. In July, Facebook reported mobile accounts for 76 percent of ad dollars, with the company boasting $4 billion in revenue for the second quarter of 2015.